If you need a dog walker in Charlotte, call us at Fiv5 Star Cleaning! Walking your dog is very important for keeping your dog healthy, but it can be difficult to find time to take a walk with other work and family responsibilities. If you are looking for a dog walker, you are likely looking for someone who is reliable and will be good with your pet. This can be difficult to find if you don’t already have a dog walker in Charlotte, North Carolina. At Fiv5 Star Cleaning, we know that hiring a dog walker can be very helpful for your busy schedule, which is why we offer trustworthy, professional dog walking services to our customers in Charlotte. As a local company that has served the Charlotte area for many years, we have worked to build relationships with each of our customers. We want you to know and trust your dog walker, so you can have peace of mind while your dog is out and you are working on other things. When you work with a dog walker from our team at Fiv5 Star Cleaning, you won’t have to worry about the safety or happiness of your dog, which will allow you to focus more on other family and work responsibilities. 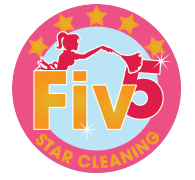 At Fiv5 Star Cleaning, we work to make your life as simple as possible with our many cleaning, babysitting, and dog walking services. No matter what you need help with, our team is the best one to call. Feel free to contact us if you have any questions about our quality services! At Fiv5 Star Cleaning, we can help if you’re looking for a dog walker in Charlotte, Concord, Cornelius, Gastonia, and Mooresville, North Carolina, as well as Rock Hill, South Carolina.